Our mission here at Aldersgate is to establish and maintain a family-oriented Christian community that provides opportunity in ALL aspects of life for adults with special needs. ​Soon after the concept of Aldersgate Enrichment Center was approved, a selection committee visited many central Texas communities in search of a location for the new center. The committee assessed each community’s resources to determine the availability of health facilities, utilities, church support, community acceptance and support of mentally challenged citizens. While there were many communities that excelled in these areas, Brownwood, TX, was finally chosen as the location for the center. In 1988, Aldersgate Enrichment Center was presented a deed to 150 acres provided by the Brownwood Industrial Foundation for the new center. The AEC receives no direct financial support from the Central Texas Conference and is dependent upon support from individual churches, foundations, civic groups, individual donations and the income from the manufacturing at the AEC. 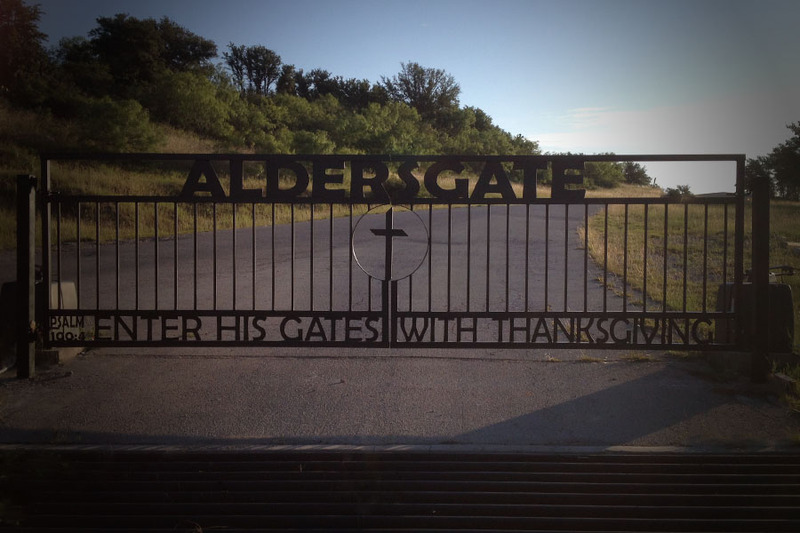 Aldersgate Enrichment Center is located 3 miles southeast of Early, Texas. The campus is located on 150 pastoral acres of partially wooded ranchland. The campus is secured and is located in a rural setting away from the hustle and bustle of city and/or urban living. The two residences, The Bishop Home & The Hamrick Home, house 21 residents and are nestled among oak trees on a rise that faces the beautiful Texas sunsets and are in easy walking distance of the workshops and campus activities. There are 7 additional buildings: The Avinelle McWhirter Ogle Administration Building, The Gathering Place venue, The Chapel at Aldersgate, Clean Room, Recycle Department, and two warehousing facilities. Aldersgate serves over 80 Associates, of which 22 live in two assisted-living facilities on the campus and the other 50 + commute to the campus daily from surrounding communities to work.